There is no doubt about it…we are definitely in a foreign country. Sure, in New Zealand there were cute little differences like saying “toilet” rather than “restroom,” but that was nothing compared to Japan. Okay, it’s true that Starbucks, McDonalds and KFC are almost inescapable, but otherwise the vast differences have quickly thrown us into sensory overload. It has been great, but very intimidating. 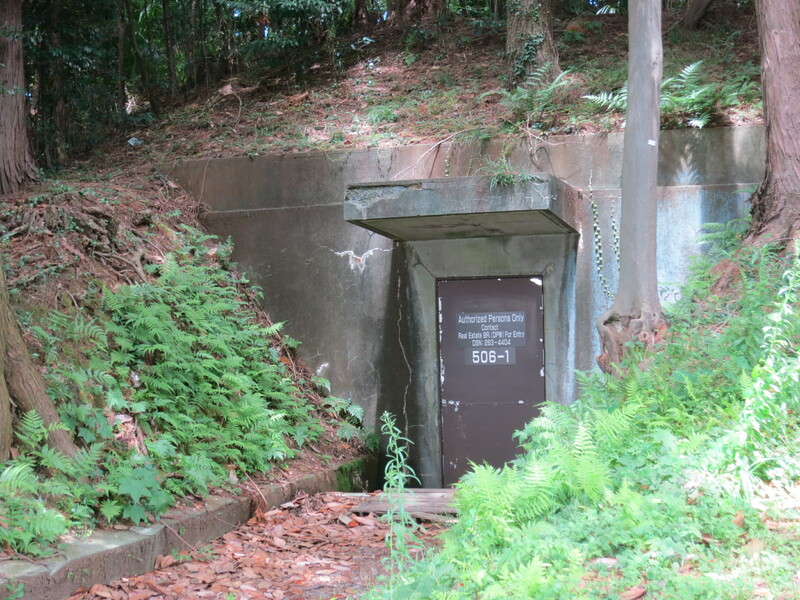 On the base of Camp Zama, Gaye showed us this: A secret (unused) bunker for the Japanese Emperor during World War II. When Americans claimed the based, this was found! Today, we took care of a little bit of necessary business before really sinking our teeth into Japan. Gaye, my cousin who is the most gracious hostess ever, drove us around Sagamihara City and took us over to Camp Zama, the U.S. Army Base where she has taught for the last 25 years. Here, we visited the tourism office, stopped by the ATM and had a nice lunch by the golf course. There were far more Japanese working on the base than I expected, but overall US dollars could be used and in a lot of ways it did feel very American. We can understand why Gaye has chosen to stay here for most of her adult life–it is the perfect balance of living in a foreign country, but still having your own culture close by. 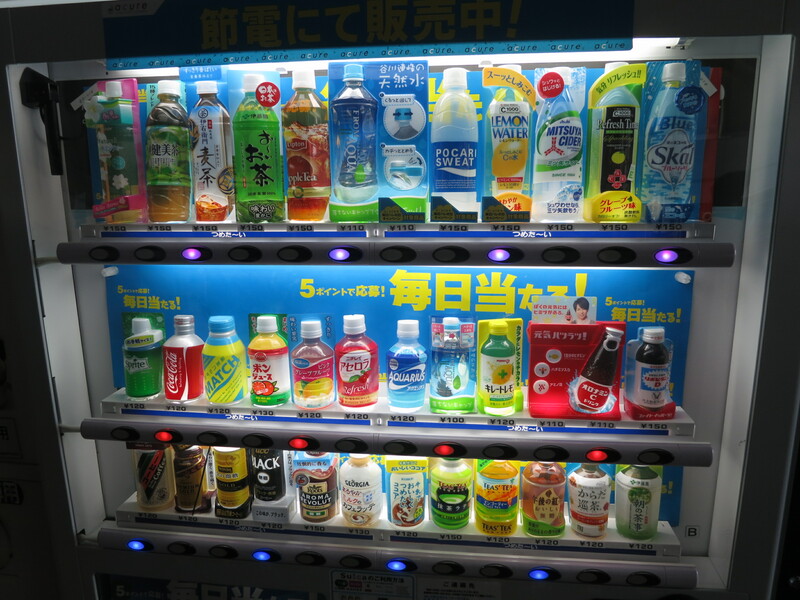 However, this American culture stopped as soon as we said sayonara to the guard at the gate. One of our biggest feats today was figuring out, at least a little bit, the train lines. Our pre-trip research led us to the JR pass – a train pass which allows us unlimited access to the national JR train line for seven days. This isn’t a subway, it is more like a combination of regional rail and Amtrak. The train line will get us around Tokyo and its suburbs, but also travels to all areas of Japan. Luckily, Gaye lives right next to the Sagamihara stop on JR Yokohama line. We decided to venture to Yokohama, a city of 3.5 million just south of Tokyo. Gaye walked us to the station and pointed us in the right direction, which actually turned out to be the wrong direction (to her credit, she usually uses a different train line–there are SO MANY trains here). Luckily, Phil and I checked the map, and even though most it is written in Japanese, the station names are also written in English and everything is well marked with arrows and time tables. 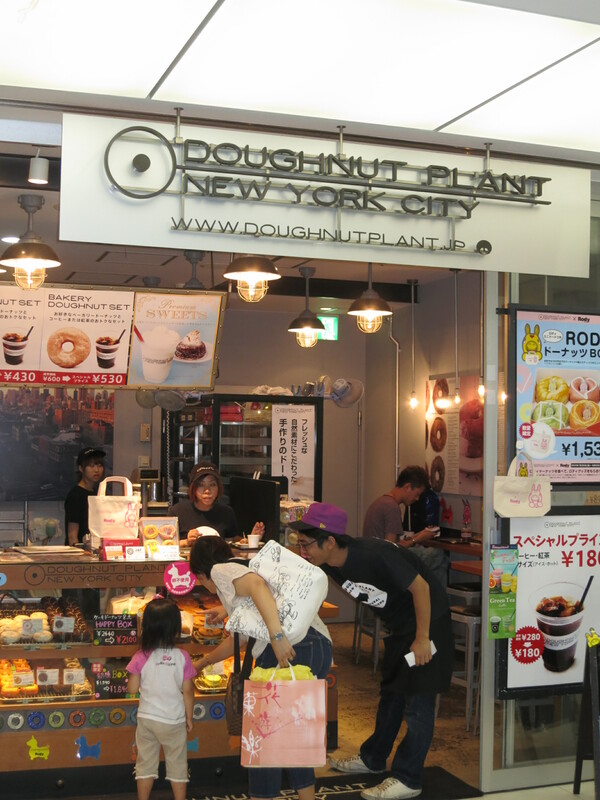 Amazingly, we never made it inside the Donut Plant in New York City, but to our shock we saw this store at the ShinYokohana Train Station! Once on the train, it wasn’t much different from riding the train in New York–it is filled with people weary from a long day of work or tired out from the heat who just want to get where they are going. Except for us, of course. We were bright eyed and smiling, reading every sign we could to make sure we were headed in the right direction. The train moves fast, so catching the one word written in English on the sign was not as easy as we thought it would be. 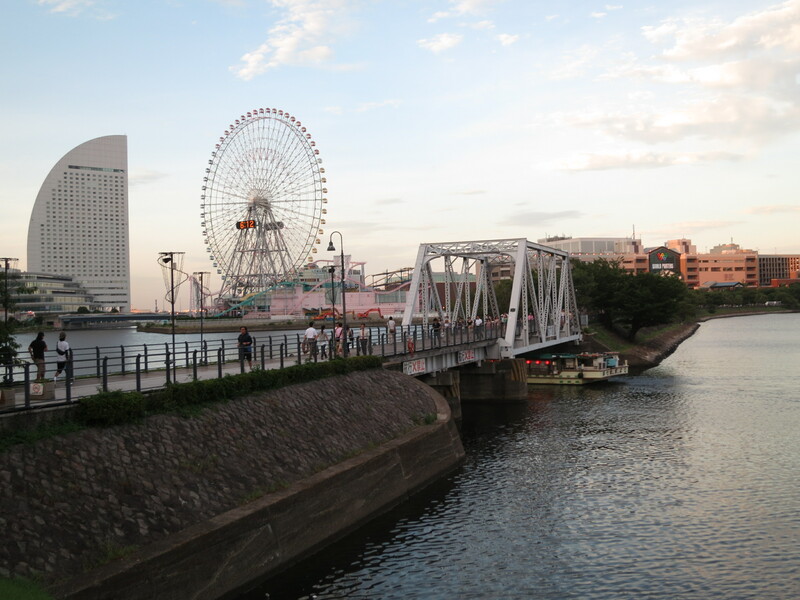 Luckily, we made it into Yokohama with no problems at all–we didn’t even have to ask for help! Once off the train, we did what we do best–we wandered around looking for interesting things to see. It took us all of two minutes to happen across a large crowd of people gathered on steps watching a street performer. This wasn’t the same crappy dance group you see in the Times Square subway station who spends 15 minutes gathering a crowd to watch their performance but they never actually do anything. No, this guy was pure entertainment. He was cracking up the crowd, telling jokes, singing little bits–sure, we had no idea what he was saying, but we laughed when everyone else did and joined in clapping when it seemed appropriate. Adding onto his joke telling, he began juggling–of course. 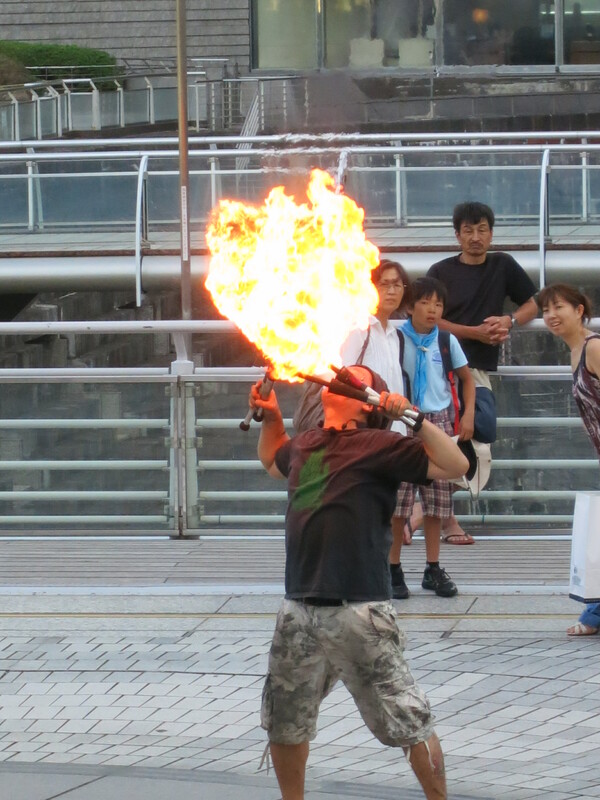 But then he lit the juggling sticks on fire, then he juggled fiery sticks while balancing on a rolling cylinder, then he spit fire! It was awesome! Being a part of this crowd of all Japanese people, and having no idea of the words but still getting the message just the same, was really neat. We left the performer and wandered around Yokohama taking in the sights, the coolest of which was Yokohama Stadium. We know the Japanese love their baseball, and man was it obvious just walking by the stadium. A game had just begun and already the crowd was chanting, cheering and singing. The energy from the crowd inside was electrifying the air outside–it was almost contagious. As we walked around, we saw a big screen set up outside the stadium with tables, chairs and food vendors where people could sit and watch the game without having to buy a ticket and go in. The atmosphere was awesome, and got us even more excited for tomorrow when we get to have our experience at a Tokyo Yomiuri Giants baseball game at Tokyo Dome. We can’t wait to tell you about it! For now, we go to bed with Japanese phrases swimming in our head, yen conversions fogging up our brains, and the question of how we can possibly retain all that we’ve learned confounding us.